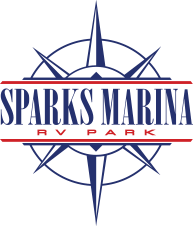 Sparks Marina RV Park serves Reno and Sparks, Nevada with the highest rated RV amenities and facilities, and at very reasonable rates. This well designed and impeccably maintained big rig park will be a highlight of your visit. Lots of amenities in the park and great shopping, & dining. This park is very well maintained and the staff were ALL super friendly. I would highly recommend this park! Have stayed multiple times. Have had nothing but an outstanding experience. The park is exceptionally clean and maintained. Staff is superb. Location is very convenient to anything someone [needs]. A quiet, clean, and very nice RV park. This is our go to when we are in town visiting my family. They are nice big spots, perfectly level, dog runs in several corners, w/Astroturf in replace of grass lawns. The Only 10/10/10 RV Resort in the Reno Area! Sign up for Sparks Marina’s Newsletter!